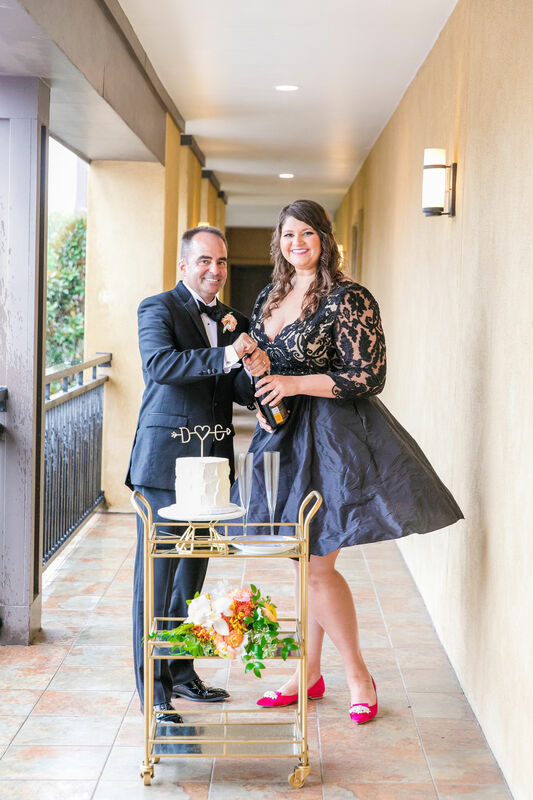 Caroline came to the EKB studio determined to create her perfect wedding gown…and it would be black. The beautiful and bold color is one that Caroline knew she felt the most comfortable and like herself in, which is how every bride should feel on her big day! 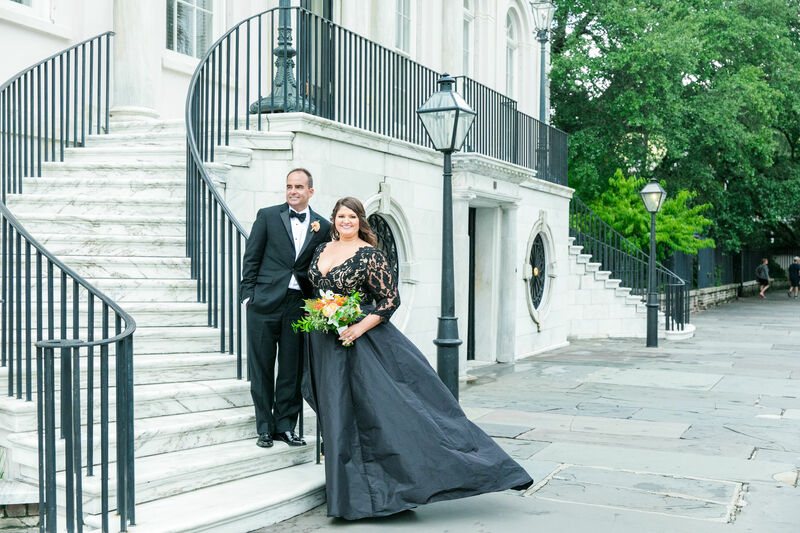 Finding a black wedding dress is not an easy task…so Caroline found us to customize her perfect look. 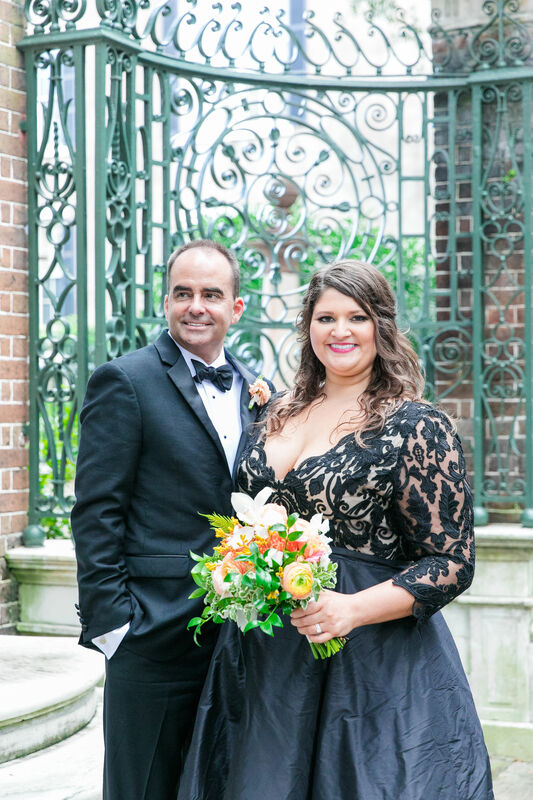 The wedding that Caroline was planning was a small and intimate elopement at Magnolia Plantation. That said, she knew she was looking for a beautiful a-line silk skirt but wanted the option to re-wear her dress again to a formal event. That is when we decided to design her a detachable cathedral, ballgown skirt to be worn over her actual dress–which was cocktail length. This was one of the most fun and transformative dresses to design and create! 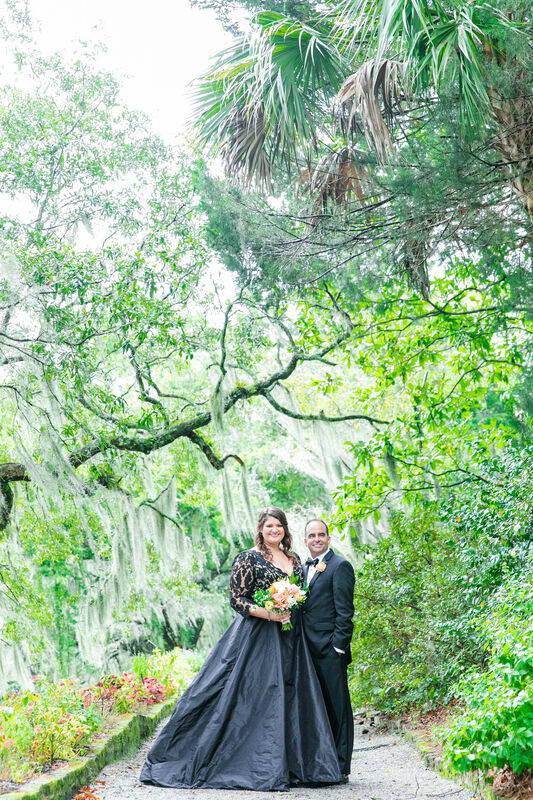 Caroline said I Do under the gorgeous scenery at Magnolia Plantation in her dream wedding gown complete with a full aline ballgown skirt. 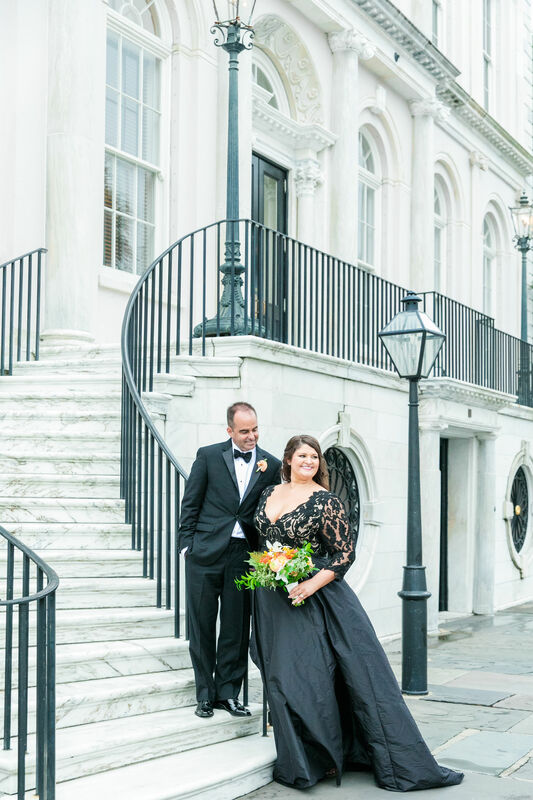 After walking around downtown Charleston and taking pictures in their formal attire, they cut the cake with Caroline wearing her adorable cocktail length dress and of course, her fun pop of pink shoes! Designing wedding gowns is such an honor and truly a dream, but sometimes when we are asked to create a gown in something other than a white or ivory color it is exciting! It was such a fun dress to create with Caroline and we are thrilled she came to us to bring her ideas to life! Caroline’s beautiful images were taken by the extremely talented Dana Cubbage.